The federal law governing civil in rem forfeiture actions gives the government authority to seize items it suspects were used in furtherance of criminal activity and to commence civil in rem proceedings against the property without charging the property's owner with a crime. See United States v. Seventeen Thousand Nine Hundred Dollars ($17,900.00) in U.S. Currency, 859 F.3d 1085, 1087 (D.C. Cir. 2017) explaining the practice of civil forfeiture); see also Leonard v. Texas, 137 S. Ct. 847, 848-49, 197 L. Ed. 2d 474 (2017) (Thomas, J.) (statement respecting the denial of certiorari) (describing some abuses in the administration of civil forfeiture laws in the United States and questioning the constitutionality of such laws). Federal agents and entities have significant latitude to pursue these claims, from special discovery provisions written into the governing rules to a burden of proof that is lower than required in standard criminal cases. But this latitude has its limits, and this case requires us to define some of these limits. The district court granted the government's motion to strike Taiwan Wiggins's and Dalante Allison's claims to currency seized from each man at the Cleveland Hopkins International Airport. Each man's claim asserted that he owned the currency that had been taken from his suitcase. The district court recited the facts as alleged by the government, found that each claim presented "nothing more than a naked assertion of ownership," and held that, under Sixth Circuit precedent, Wiggins and Allison lacked the standing necessary to pursue their claims. In many ways, this civil forfeiture action looks routine, for federal courts have developed well-settled principles concerning a forfeiture claimant's need to demonstrate both Article III and statutory standing. But this case comes to us in a procedural posture unlike most civil forfeiture actions—the government apparently moved to dismiss the claim before it engaged in any discovery. Its basic argument before the district court and on appeal is that the claimant's pleadings must do more than assert a bare ownership in the res that is subject to forfeiture, and that the claimant's pleadings must provide the government sufficient detail to draft interrogatories allowing it to test the claimant's claim of ownership. As we will explain, the procedural rules governing civil forfeiture actions do not demand such a heightened standard. Accordingly, we REVERSE the district court's order granting the government's motion to strike the claim and REMAND for further proceedings. The factual background is that DEA agents questioned two persons seeking to depart from an airport and gained access -- allegedly consensual access -- to their baggage. The DEA agents discovered cash in their baggage of $31,000 and $10,000 respectively. A DEA canine alerted the agents to odor of narcotics. Upon questioning, each of the individuals claimed employment with a cleaning service company and one individual could name only one customer of the company. The DEA agents could not locate any of these companies or the customer. The Government then moved to forfeit the cash under "21 U.S.C. § 881(a)(6), as proceeds traceable to drug trafficking activities or that were used or intended to be used to facilitate drug-trafficking in violation of 21 U.S.C. §§ 841(a), 846." Each of the individuals filed claims for their respective cash the Government sought to forfeit. The claims appeared to be slim on details but did make critical assertions that the claimants owned the respective funds and that the funds had been illegally seized. Appeal from the United States District Court for the Eastern District of New York. No. 6-cr-550 — Joanna Seybert, Judge. Appeal from a judgment of the United States District Court for the Eastern District of New York (Seybert, J.) entered following a jury verdict finding defendant David Brooks guilty of offenses related to fraud and securities laws violations, and Brooks's guilty plea to tax evasion. After Brooks filed his appeal, he died while incarcerated and his estate and members of his family moved to abate his convictions. We conclude that Brooks's counts of conviction resulting from the verdict abated with his death, but not the counts resulting from his guilty plea; the bail bond subscribed by Brooks and his family remains forfeited; and the order of restitution related to the fraud and securities laws counts is abated but not the order of restitution related to the tax counts. Accordingly, the estate-appellant's motion for abatement is GRANTED in part and DENIED in part, Brooks's judgment of conviction for the non-tax counts is VACATED, the motion by Brooks's family members for abatement of the bail bond forfeiture is DENIED, the order denying the motion to set aside bond forfeiture is AFFIRMED, the Government's cross-appeal is DISMISSED, and the case is REMANDED for the dismissal of the non-tax counts of the indictment. The Court's resolution of the abatement issue is important although relatively straight-forward. It is black-letter that death while on appeal does abate the conviction. The nuance addressed -- or at least implied -- is that the appeal has to question the conviction. There was no appeal of the tax conviction pursuant to the guilty plea (likely because many pleas require waiver of the right to appeal and even when an appeal is permitted under the plea usually is not permitted for guilt of the crime or counts for the plea). The takeaway is that a defendant convicted by jury verdict or judge decision should always appeal the conviction if the defendant appeals anything. For example, an appeal of only the sentence likely would not require abatement of the guilty conviction (verdict or judge decision). Of course, in almost all cases, the appeal does attack the conviction in some way, so that this precaution would usually be covered anyway. The amount of the entire bond was $400 million, apparently the largest ever imposed on an individual defendant, and the cash security posted was originally $48 million, also an extraordinary cash security. These amounts were required by the district court because of the nature of the crime, the amounts allegedly involved in the crimes, and Brooks's wealth. They arose out of a concern that Brooks would be able to flee and access those accounts to aid his flight. In setting the bond, the district court addressed the Government's concern that the defendant might be hiding assets while free on bond. In the bond conditions, the district court specifically provided that "[a]ny knowing violation of this agreement, including . . . an attempt . . . to conceal assets . . . will be grounds for revocation of his bail release and for forfeiture of the $ million in bond security." Finding that the defendant had attempted to secrete assets, the district court revoked bail and forfeited the $48 million cash. That finding was made only upon consideration of the Government's submissions. In Bedrosian v. United States, 2017 U.S. Dist. LEXIS 154625 (E.D. Pa. 2017) (E.D. Penn. 2017), here, the District Court held that the Government had not established willfulness for the FBAR penalty and ordered refund / return of the illegal exaction the Government had collected. I have previously written on some of the pre-trial developments in the case and provide links to those blog entries at the end of this blog. So, I will just focus on this latest decision on the merits. I will be rather brief since I am posting this from Dublin while on vacation (which also explains why I have been relatively silent on the blog recently). 1. The trial was a one-day trial as indicated in my most recent blog (linked below). Bedrosian did not tell Handelman about his Swiss account until some point in the mid-1990s, at which time Handelman advised him that he had been breaking the law every year that he did not report the account on his tax return. (Id. at 49-50.) Bedrosian asked Handleman what he recommended doing about it, and Handelman stated that he could not “unbreak the law,” and should therefore take no action. (Id. at 50-51.) Handelman assured Bedrosian that his estate could deal with it upon his death, when his money was repatriated. Heeding Handleman’s advice, Bedrosian continued to not report either Swiss account on his tax returns. So, this is a variation of the reliance on tax professional defense to a crime or civil penalty requiring willfulness. But, the reliance is inherently inconsistent with the ultimate holding. Handleman, by Bedrosian's admission, told Bedrosian that he was violating the law by not reporting the account. Hence, by his own admission, he thus knew the law and must have intended to violate it, albeit with the goal of leaving it to his estate to work out the solution. 3. Of course, Bedrosian's defense is more subtle. Bedrosian must have told his new accountant, Bransky, who started in 2007 because that accountant did check the Box yes on the Schedule B foreign account question. The resulting FBAR, though, only included one of Bedrosian's accounts, omitting the much larger one. DOJ Tax is reportedly looking at Swiss life insurance companies who participated in providing so-called insurance wrappers to hide U.S. taxpayer's investments. I offer a recent article and then two other older items for more information. John Revill, Oliver Hirt, UPDATE 1-Swiss Life speaks to DOJ about possible tax evasion by U.S. clients (Reuters 9/14/17), here. Swiss Life could face a fine in the United States after it was contacted by the U.S. Department of Justice (DOJ) about whether it helped U.S. clients avoid tax, Switzerland’s biggest life insurer said on Thursday. The disclosure comes as U.S prosecutors have been widening their probe of Swiss banks who have been helping wealthy American clients dodge taxes to include insurance companies. The Zurich-based company started selling the products in 2006, but stopped selling them in the United States in 2012. Swiss Life returned funds to hundreds of American clients who had invested in insurance wrappers linked to bank accounts at Bank Frey in 2013, The Wall Street Journal has reported. Reuters Staff, U.S. looks at Swiss insurers in offshore probe: WSJ (Reuters 2/24/2014), here. Insurers in Switzerland have been preparing for months for U.S. officials to investigate products known as insurance wrappers - life insurance policies into which the very wealthy place stocks, private equity holdings and other bankable assets, allowing them to lower their tax rate. Justice Department Announces Resolution under Swiss Bank Program with Union Bancaire Privée, UBP SA (DOJ Tax 1/6/16), here. UBP maintained undeclared accounts at UBP for U.S. clients in the nominee names of non-U.S. insurance companies. Such accounts, known commonly as insurance wrappers, were titled in the names of insurance companies but were funded with assets that were transferred to the accounts for the beneficial owners of the insurance products. Insurance wrappers were marketed to Swiss Banks by third-party providers in the wake of the UBS investigation as a means of disguising the beneficial ownership of U.S. clients. For example, in November 2009, UBP worked with a third-party service provider to assist a U.S. beneficial owner in restructuring three existing ac=counts he held at UBP in the names of nominee Panamanian entities into three accounts owned by the insurance company. Effective January 2001, UBP entered into a Qualified Intermediary (QI) Agreement with the IRS. The QI Agreement was designed to help ensure that, with respect to U.S. securities held in an account with UBP, non-U.S. persons were subject to the proper U.S. withholding tax rates and U.S. persons were properly paying U.S. tax. As a consequence of UBP entering into a QI Agreement with the IRS, UBP allowed U.S. clients to create and open accounts in the name of sham offshore entities and insurance wrappers. Certain UBP employees caused UBP to certify compliance with the QI Agreement event though the true beneficial owners were not reflected in the IRS Forms W-8BEN in the account files. UBP also divested U.S. securities from its undeclared U.S. accounts for the purpose of subverting its QI Agreement. In Bedrosian v United States, 2017 U.S. Dist. LEXIS 142793 (E.D. Pa. 2017), here, the Court granted the U.S. motion in limine "to preclude evidence concerning the 'procedures, actions, analyses, or viewpoints of the Internal Revenue Service and its personnel at the administrative level regarding willfulness.'" Basically, the holding is that the FBAR willful liability at issue is determined by the Court de novo. That means that Bedrosian's willfulness is determined based upon his own mental state -- willfulness -- and his actions in failing to report his UBS account at issue. The IRS's administrative actions are irrelevant to that issue. Bedrosian Docket Entries as of 9/11/17, here. Bedrosian Trial Brief 8/28/17, here. United States Trial Brief 8/28/17, here. The docket entries (#59) indicate a Minute entry for proceedings on 9/8/17. I could not get to that minute entry because, the message said, "You do not have permission to view this document." I don't know if that was the minute entries of the trial. But, in view of the court's order the previously indicated trial time of two days was likely much shorter and could have been completed in one day. 1. Bedrosian told his accountant in the 1990s about UBS account. His accountant told him that he should have been reporting the account but to "leave the account as it was and that he (or his estate) would pay taxes on the money in the account when repatriated." Plaintiff dutifully followed his accountant's "instructions." 2. The accountant passed away in 2007. There is no indication that there is any written or otherwise objective evidence of the accountant's advice to Bedrosian other than Bedrosian's testimony. 3. Bedrosian's new accountant (i) answered the Schedule B foreign account question in the affirmative and indicated the account was in Switzerland and (ii) prepared an FBAR with only one of two accounts listed because he "inadevertently" omitted it and "plaintiff always viewed it as one account with a subaccount." a. Bedrosian was "very cooperative," according to the agent. b. The IRS agent "requested and received plaintiff's FBAR reports for 2006-2009." It is not clear whether this was the original filing of those reports or was copies of the earlier filing after the activity in 2009.
c. The IRS agent "ultimately determined, based on the totality of his investigation, that plaintiff's violation of the FBAR requirements was non-willful." d. In 2012, the IRS agent and his supervisor "met with the treaty case panel which "recommended that platintiff's case be closed with non-willful violations, thereby sustaining [the IRS agent's] conclusions." e. That revenue agent went out on medical leave. Another agent was assigned to the matter and "decided that the penalty proposed by [the first revenue agent] was not correct." Bedrosian makes certain claims as to deficiencies in the new agent's investigation. Some 60 to 70 Swiss private banks are facing serious problems that could force them to close down or sell up, according to a study published on Thursday by consultancy KPMG. Fighting diminishing profits caused by fierce competition and a global clampdown on tax evasion, these banks must work to cut costs and buy up competitors to reach adequate size. But many of the affected banks will ultimately have to exit the market, the study concluded. The number of Swiss private banks has already fallen by over a third from 180 in 2005, according to the data. In United States v. Melton, ___ F.3d ___, 2017 U.S. App. LEXIS 16753 (8th Cir. 2017), here, the Court affirmed the conviction and sentence for for twelve counts of mail fraud (18 USC § 1341) and five counts of failure to pay employment taxes (§ 7202). The defendant raised a number of arguments on appeal, mostly related to the mail fraud and its background. I excerpt here only the discussion of the defendant's argument that the prosecutor improperly argued in closing argument that the prosecutor believed the defendant was guilty or that a witness was credible or not credible, rather than leaving those determination to the jury. E.g., United States v. Warshak, 631 F.3d 266, 301-308 (6th Cir. 2010), reh'g and reh'g en banc denied, 2011 U.S. App. LEXIS 5007 (6th Cir. 2010) (involving a litany of improper prosecutor assertions); United States v. Bess, 593 F.2d 749, 755 (6th Cir. 1979) ("Implicit in an assertion of personal belief that a defendant is guilty, is an implied statement that the prosecutor, by virtue of his experience, knowledge and intellect, has concluded that the jury must convict. The devastating impact of such 'testimony' should be apparent. "); United States v. Wolfe, 701 F.3d 1206 (7th Cir. 2012) (noting as a tyope of impermissible vouching: "a prosecutor may not express her personal belief in the truthfulness of a witness, and a prosecutor may not imply that facts not before the jury lend a witness credibility. "); and United States v. Woods, 710 F.3d 195, 202 (4th Cir. 2013) ("highly improper for the government to refer to a defense witness as a liar.). Melton asserts a new trial should be granted because the government's remarks during closing affected his right to a fair trial. Because Melton did not object on those grounds during trial, we review for plain error. See United States v. White, 241 F.3d 1015, 1023 (8th Cir. 2001). The burden is on Melton to demonstrate the district court plainly erred by allowing the government's comments. See id. "We will reverse an improper remark during closing argument without an objection only under 'exceptional circumstances.'" United States v. Branch, 591 F.3d 602, 609 (8th Cir. 2009) (quoting United States v. Eldridge, 984 F.2d 943, 947 (8th Cir. 1993)). Reversal for prosecutorial misconduct requires proof that "'the prosecutor's remarks were improper,'" and "'such remarks prejudiced the defendant's rights in obtaining a fair trial.'" Id. (quoting United States v. Bentley, 561 F.3d 803, 809 (8th Cir. 2009)). Melton calls our attention to several statements made during closing. Referring to Melton's testimony, counsel for the government remarked, "His lips are moving, things are going through his brain coming out his mouth and it's just flat out lies. That pretty much typifies Mr. Melton." Counsel repeated he believed Melton was lying, and Melton was selling "magic" on the stand. Counsel also called Melton's testimony "silly" and "made up," and remarked, "there is just arrogance flowing from that man [Melton] right there." Near the end of his closing, counsel concluded: "The evidence is Andrew Melton is lying. . . . It's amazing what that man got up there and testified about and lied to you. . . . That man right there is guilty. Convict him." While these comments taken together and out of context arguably may be inappropriate for a federal government prosecutor, we liken their effect to those discussed in United States v. White, where we determined the prosecutor's comments were "questionable," but did "not rise to the level of plain error affecting [the defendant's] substantial rights." White, 241 F.3d at 1023. In White, under plain error review, the defendant challenged the prosecutor's statements that the defendant was "'lying bold face to you,'" and "'tried to lie to you,'" by suggesting he had not used drugs for several decades. Id. at 1022-23. The prosecutor also stated, "'If he can suggest to the government that witnesses are willing to lie, what kind of lies do you think he would tell in order to evade responsibility entirely?'" Id. at 1023. We determined the comments did not warrant reversal because the prosecutor "outlined the evidence and highlighted the reasons he believed [the defendant's] testimony was not credible," and "we [chose] not to employ the discretion conferred by Rule 52(b)" because it was not "a miscarriage of justice." Id. (citation omitted); see also Fed. R. Crim. P. 52(b). We reasoned it was "permissible for a prosecutor to interpret the evidence as indicating that the defendant [was] not telling the truth." Id. "So long as prosecutors do not stray from the evidence and the reasonable inferences that may be drawn from it, they, no less than defense counsel, are free to use colorful and forceful language in their arguments to the jury." United States v. Robinson, 110 F.3d 1320, 1327 (8th Cir.1997); cf. United States v. Holmes, 413 F.3d 770, 775 (8th Cir. 2005) (holding the prosecutor's closing comments implying defense counsel was "conspiring with the defendant to fabricate testimony" were "highly improper because they improperly encourage the jury to focus on the conduct and role of [the defendant's] attorney rather than on the evidence of [the defendant's] guilt"); United States v. Johnson, 968 F.2d 768, 772 (8th Cir. 1992) (granting a new trial where closing remarks improperly ignited "fear and concern engendered by the national drug epidemic"). Pierre also complains that the district court created unwarranted sentencing disparities when it sentenced him based on intended loss ($5.2 million) rather than actual loss ($1.2 million), because his co-conspirators received sentences based on the actual loss amount attributable to them. The guidelines direct the court to consider the greater of actual loss or intended loss, USSG § 2B1.1, comment. (n.3(A)), so there was no error in using the larger amount. The statutory direction to avoid unwarranted disparities among defendants, 18 U.S.C. § 3553(a)(6), refers to national disparities, not differences among co-conspirators, so Pierre's argument founders on a mistaken premise. See United States v. Fry, 792 F.3d 884, 892-93 (8th Cir. 2015). In any event, any disparity among co-conspirators here was warranted by Pierre's greater culpability in the conspiracy. Pierre was aware of the full scope of the conspiracy: he recruited co-conspirators to open several phony tax-preparation companies and bank accounts, and he directed them to deposit and withdraw money from the bank accounts. Most of the co-conspirators were associated with only a single fictitious company and bank account. The district court reasonably sentenced Pierre based on a greater amount of loss. For review, 18 USC § 3553(a), here, states the "Factors To Be Considered in Imposing a Sentence," including in subparagraph (6) "the need to avoid unwarranted sentence disparities among defendants with similar records who have been found guilty of similar conduct." § 3553(b) requires the sentencing court to "impose a sentence of the kind, and within the range, referred to in subsection (a)(4) unless the court finds that there exists an aggravating or mitigating circumstance of a kind, or to a degree, not adequately taken into consideration by the Sentencing Commission in formulating the guidelines that should result in a sentence different from that described." As interpreted by Booker, the Court has ultimate discretion in applying the § 355a(a) factors to vary from the Guidelines. Our court has not previously decided whether "[t]he statutory direction to avoid unwarranted disparities among defendants [in accordance with] 18 U.S.C. § 3553(a)(6) refers to national disparities [rather than] differences among co-conspirators." Supra at 8. See Fry, 792 F.3d at 892-93 (noting in dicta that "[m]ost courts say that the statutory direction to avoid unwarranted sentence disparities, see 18 U.S.C. § 3553(a)(6), refers to national disparities, not differences among co-conspirators" but affirming defendant's longer sentence as substantively reasonable when compared to sentences of other participants in fraud scheme because "disparate sentences among dissimilar defendants are not unwarranted") (emphasis omitted); United States v. Nshanian, 821 F.3d 1013, 1019 (8th Cir. 2016) (citing Fry, 792 F.3d at 892, but nonetheless "[a]ssuming for the sake of analysis that the statutory direction to avoid unwarranted sentence disparities might refer to differences among co-conspirators rather than national disparities"); United States v. Avalos, 817 F.3d 597, 602 (8th Cir. 2016) (citing Fry, 792 F.3d at 892-93, but "assuming for the sake of analysis that sentence disparities among co-conspirators could demonstrate unreasonableness"). In my view, there is no need to do so here, because any disparity between Pierre's sentence and those of his co-conspirators was warranted for the reasons stated by the court. For this reason, I concur in the result, but not in the conclusion regarding the proper scope of § 3553(a)(6). I otherwise concur in the court's opinion. In Cantrell v. Commissioner, T.C. Memo. 2017-170, here, the Court sustained the civil fraud penalty based on the taxpayer's plea agreement to tax evasion for one of the years (2002) and the pattern of conduct related to other years. In the criminal case, the taxpayer had also pled to a scheme of bribery related to his official position as a Government employee. The Tax Court's determination that facts supported the civil fraud penalty (including collateral estoppel for 2002) is not particularly exceptional. It might be a good read for students and young lawyers. Section 6011(a) provides that "any person made liable for any tax * * * shall make a return * * * according to the forms and regulations prescribed by the Secretary." A return required to be filed by "the internal revenue laws or regulations shall contain or be verified by a written declaration that it is made under the penalties of perjury." Sec. 6065. Section 6061(a) provides the general rule that "any return, statement, or other document required to be made under any provision of the internal revenue laws or regulations shall be signed in accordance with the forms or regulations prescribed by the Secretary." Section 301.6061-1(b), Proced. & Admin. Regs., provides further that the method for signing may be prescribed in "forms, instructions, or other appropriate guidance". In 1998 Congress enacted the IRS Restructuring and Reform Act of 1998 (RRA 1998), Pub. L. No. 105-206, sec. 2001, 112 Stat. at 723, which provides, inter alia, that it is Congress' policy that the IRS implement guidelines for electronic filings with the hope that the IRS would achieve 80% electronic filing by 2007. See H. Conf. Rept. No. 105-599, at 234-235 (1998), 1998-3 C.B. 747, 988-989; S. Rept. No. 105-174, at 39-42 (1998), 1998-3 C.B. 537, 575-578. RRA 1998 sec. 2003(a)(2), 112 Stat. at 724, amended section 6061 by adding subsection (b). The Secretary thereby is required to develop procedures for the acceptance of signatures in digital or other electronic form; and until such time as such procedures are in place, the Secretary may waive the requirement of a signature or provide for alternative methods of signing or subscribing a return. Sec. 6061(b). Thus, the strict requirements for the filing of a paper return by an agent do not apply with full force to electronically filed returns. IRS Publication 1345, Handbook for Authorized IRS e-file Providers, provides guidance for the electronic filing of Federal income tax returns by Electronic Return Originators (EROs), such as TurboTax, including the signature requirement. IRS Publication 1345 has been in effect since before the years at issue. Accordingly, where it is clear that a preparer had actual authority to electronically file a return for a taxpayer, the Secretary acts within his discretion in waiving the signature requirements. Ballantyne v. Commissioner, T.C. Memo. 2010-125, slip op. at 7. We here find as fact that the joint returns filed by petitioner and his then wife for the years at issue met the signature requirements adopted by the IRS. In United States v. $525,695.23 Seized from JPMorgan Chase Bank, ___ F.3d ___, 2017 U.S. App. LEXIS 16077 (6th Cir. 2017), here, the Court vacated the district court's application of the fugitive disentitlement statute, 28 U.S.C. § 2466. The case involves civil forfeiture of certain U.S. assets based on drug trafficking and money laundering. 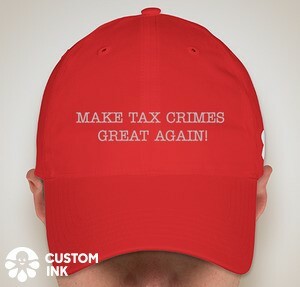 Tax crimes were not involved. Still the fugitive disentitlement can be implicated in tax crimes cases. See Ninth Circuit Speaks on FOIA, but Ducks Fugitive Disentitlement (Federal Tax Crimes Blog 3/13/12), here. I provide the statute and then the Court's general discussion of the requirements for application of the statute. (2) is not confined or held in custody in any other jurisdiction for commission of criminal conduct in that jurisdiction. (b) Subsection (a) may be applied to a claim filed by a corporation if any majority shareholder, or individual filing the claim on behalf of the corporation is a person to whom subsection (a) applies. (1) a warrant or similar process must have been issued in a criminal case for the claimant's apprehension; (2) the claimant must have had notice or knowledge of the warrant; (3) the criminal case must be related to the forfeiture action; (4) the claimant must not be confined or otherwise held in custody in another jurisdiction; and (5) the claimant must have deliberately avoided prosecution by (A) purposefully leaving the United States, (B) declining to enter or reenter the United States, or (C) otherwise evading the jurisdiction of a court in the United States in which a criminal case is pending against the claimant. Salti, 579 F.3d at 663 (quoting Collazos, 368 F.3d at 198).